We remodeled this home to add contemporary style to the property. 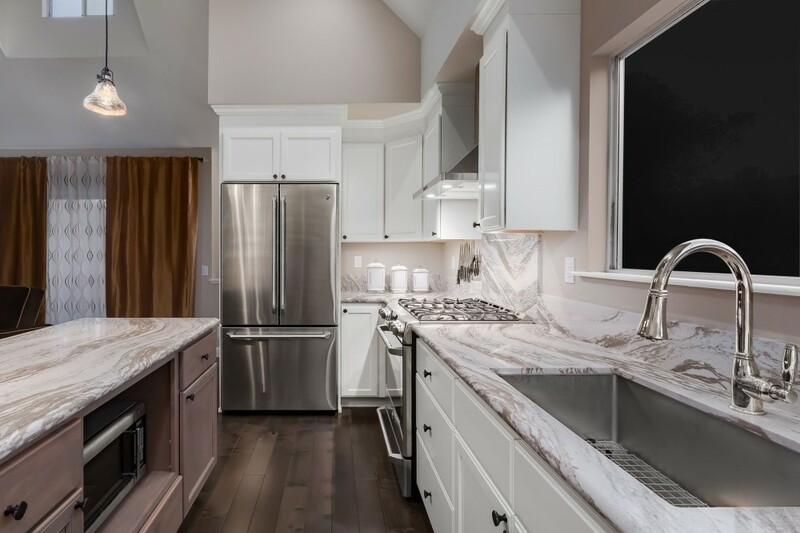 The contemporary kitchen features white cabinets and a high ceiling, with recessed lights and lighting fixtures above the kitchen island, which features dark wood cabinets. The dark hardwood flooring is accentuated by the light colored counter tops and cabinetry. Stainless steel appliances and a stainless oven hood add the final touch to this entertaining space.